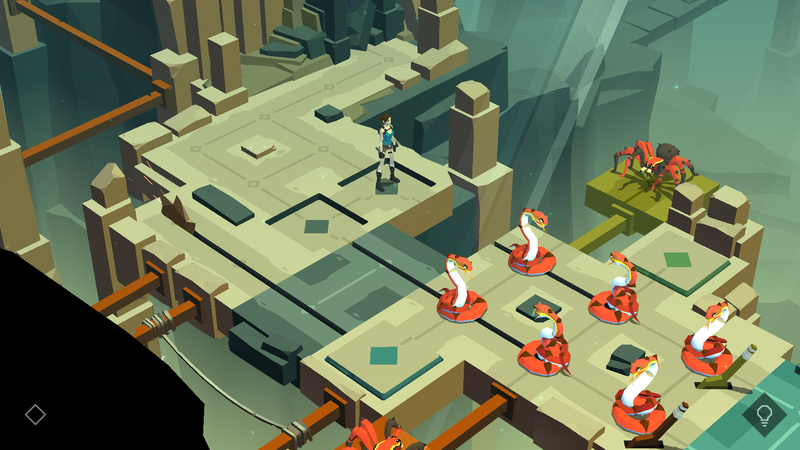 Lara Croft GO is a fun little mobile game developed by Square Enix. Similar in style to their previous game, Hitman GO (which I haven’t played yet, but will next). 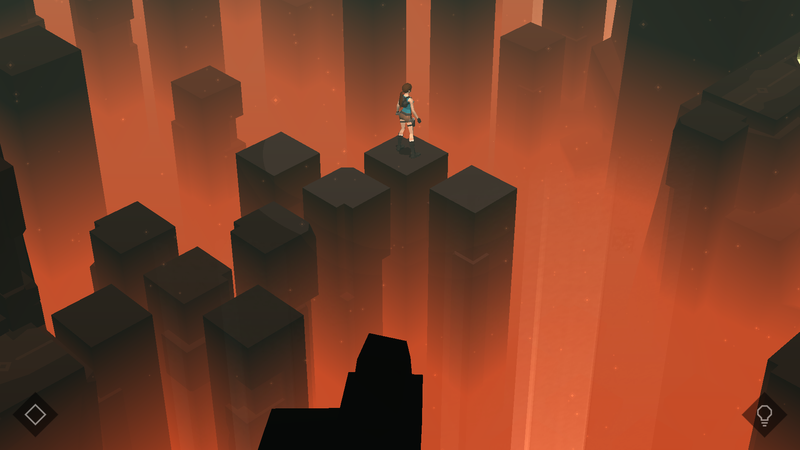 The game is a puzzle platformer, and turn-based. Very striking up front is the visuals. Flat colours, but bright with some atmospheric lighting. Everything looks smooth but with great detail. The sounds are very soft and ambient. Designed for a touch screen, the controls are very simple. 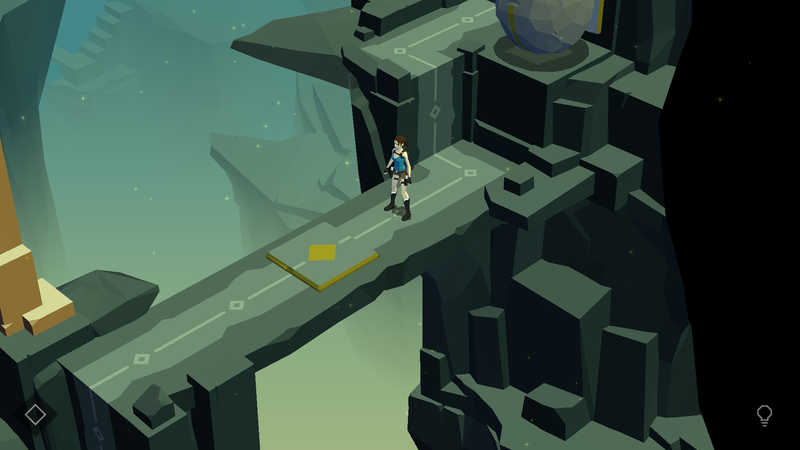 Each level has a pre-defined path as it is turn based, and as Lara, we can navigate anywhere along this path. A lot of times there are enemies in the way, and each enemy type has its own behavior, for example: snakes don’t move, and can only be attacked from the side or behind. 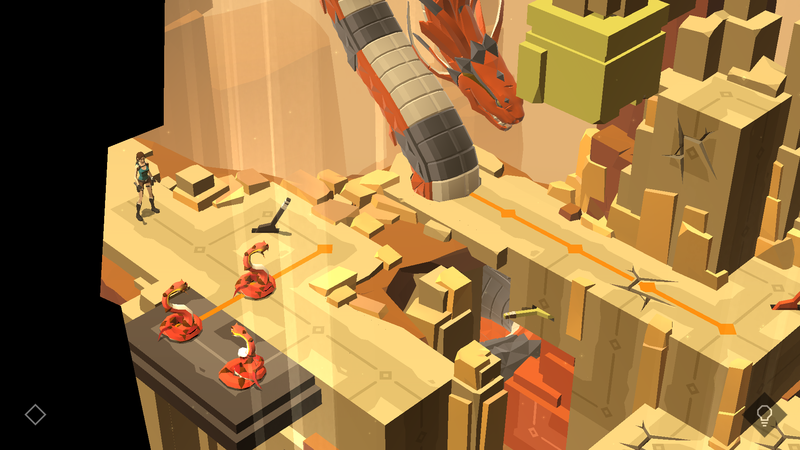 The levels also have traps, obstacles and switches en route to the end of each chapter. In the turn-based fashion, we move Lara in a diagonal direction, and then everything in the level follows suit and moves along their defined path. Progressing through the game is pretty straight forward. There are 5 chapters totally about 40 levels. The game starts off slow, almost a tutorial, but then picks up speed, and gets consistently more challenging through each completed level and chapter. There are also numerous collectibles to be found, and you can replay each level to ensure you’ve found them all. These will unlock alternate costumes. 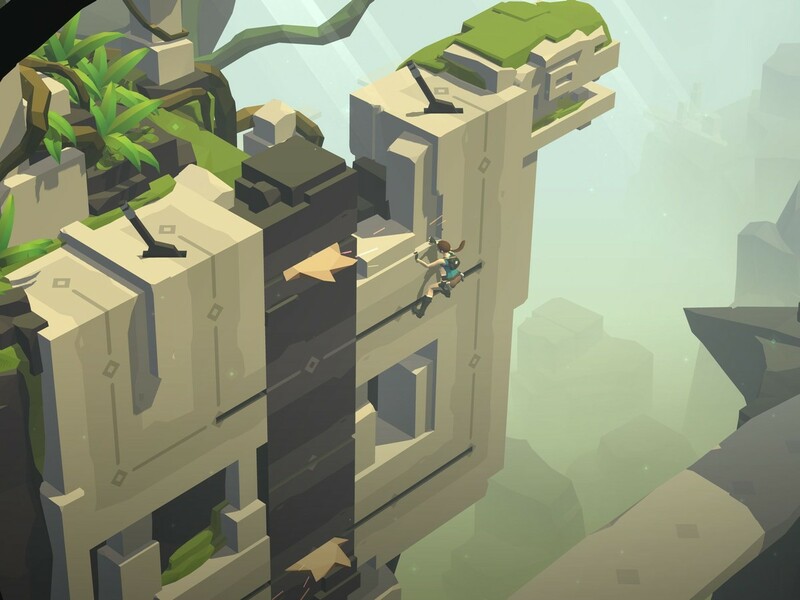 Lara Croft GO is a fun simple game that allows you to drop in and play a level or two, and then move on to more pressing business. 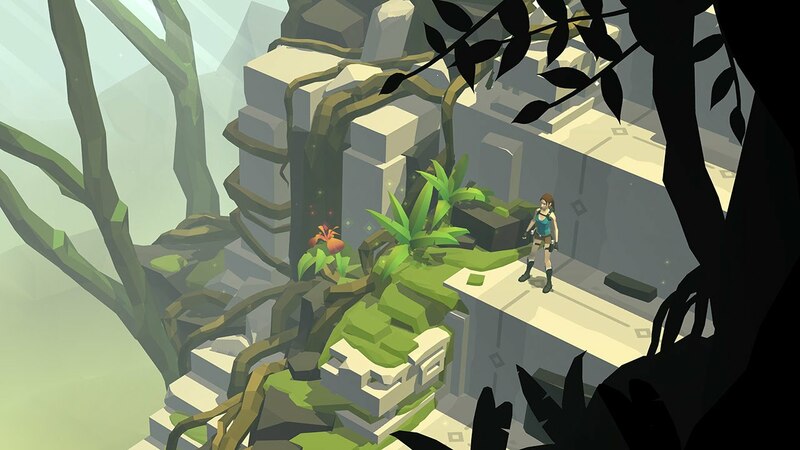 The game only supports landscape mode, but is a great homage to the Tomb Raider games, Lara Croft, and puzzle games in general. Supported on both iOS and Android for roughly $5. This entry was posted in Reviews, What Im Playing and tagged Games, Gaming, Lara Croft, review, Square Enix, Video Games. Bookmark the permalink.